Hazardous conditions can be anywhere and can cause an accident when you least expect it. If you have been involved in a slip-and-fall accident due to unsafe conditions either on the job or in a public location, you don’t have to suffer in silence. You are entitled to compensation for your slip-and-fall accident and any injuries you sustained as a result. The law office of Thurlow & Associates wants to help you get the money you deserve following your slip-and-fall accident. Slip-and-fall accidents occur as a direct result of carelessness or negligence on a business owner or manager’s part: a wet floor that has not been clearly marked, a slippery flight of stairs due to improper application of a cleaning product, or debris in the middle of a hallway causing a tripping hazard can all lead to a slip-and-fall. The extent of the injuries sustained in slip-and-fall accidents can range from mild to severe, and can even be fatal in some cases! If you have been injured in a slip-and-fall accident caused by carelessness or negligence of a business owner or manager. Call Thurlow & Associates to explore your legal options. 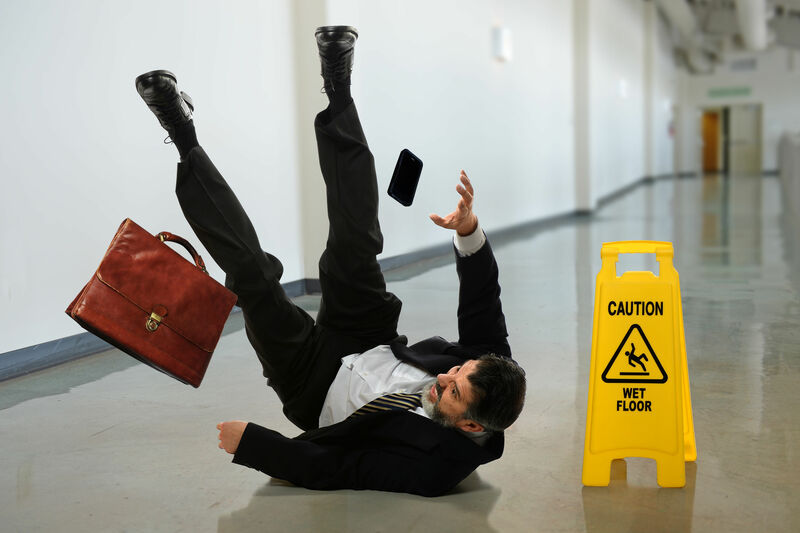 We have a vast knowledge of the laws surrounding slip-and-fall accidents, as well as a great deal of experience with representing slip-and-fall victims in court. We can help you get your life back on track following a slip-and-fall. At Thurlow & Associates, we are dedicated to helping our clients recover both financially and emotionally following an accident. Regardless of the extent of the injuries you have sustained following your slip-and-fall accident, you are entitled to compensation from the party who is at fault. Chances are you are facing medical bills following your accident, and you may have had to take an unpaid leave from work in order to recover. In some cases, your slip-and-fall accident may have rendered you unable to work for the foreseeable future. If any of this sounds familiar, Thurlow & Associates wants to help you! We will work hard to get you what you deserve so you can get back to your everyday life and the things that matter most. Call Thurlow & Associates today to speak with one of our legal representatives about scheduling an initial consultation with an attorney.